The BC Forest Discovery Centre is hosting two great events this weekend! See historical trucks in motion at the museum's own Antique Truck Show. All of our logging and fire trucks will be on display and the operational trucks will parade around the site at 11:00 and 2:00 both days. The Cowichan Valley Fire and Safety Fair also takes place at the BCFDC this weekend. 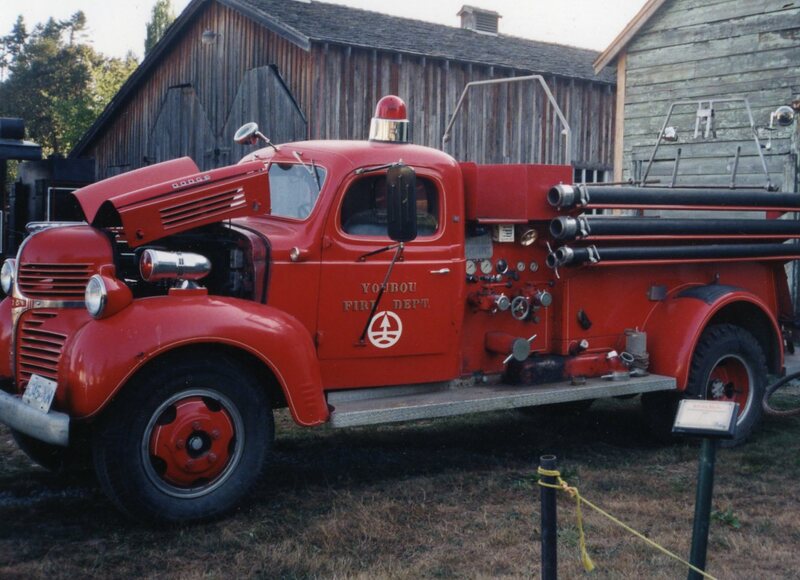 6 vintage fire trucks from various fire halls in the region will be on display as well as modern fire, pumper and rescue trucks. Children will have fun in the fire safety house and chatting with the fire fighters. Both events take place from 10-4 on August 21-22. Unlimited steam train rides, museum access, and both events are included in regular admission prices. J.H. Braten used this Diamond T logging truck to haul logs from Mount Prevost to Cowichan Bay in the 1950s. This 10-ton truck was purchased new for $8,500 and spent its working life in the Cowichan region. The bright red colour was a signature of the Diamond T Motor Car Company. Many loggers in the 1950s used Hayes Anderson reach trailers, just like this 1938 model. Two-person Disston chainsaws are mounted on the rear of the truck. The Diamond T was donated to the museum in 2007 by Bill Simpson. 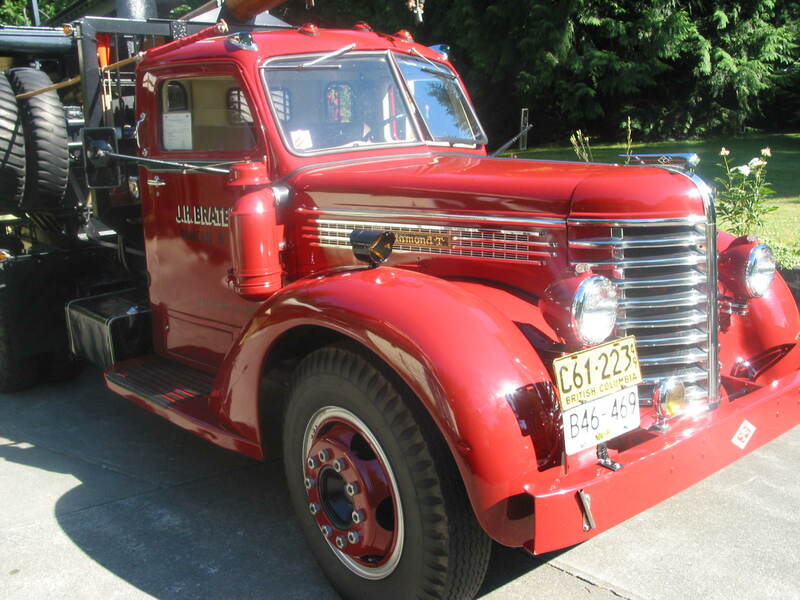 The 1948 Dodge LaFrance Fire Pumper Truck was purchased by BC Forest Products Ltd. The truck was used for fire suppression purposed at both the Youbou Sawmill and the Town of Youbou (located on Cowichan Lake, BC). The truck has a 6 cylinder Chrysler industrial engine. 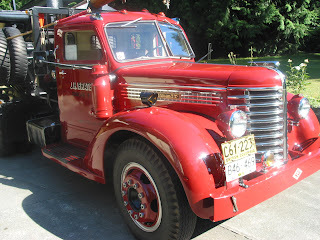 The pumper was manufactured by American LaFrance, a company that specializes in fire and rescue vehicles. The truck weighs 15,000 pounds and pumps 550 US gallons per minute. The Dodge Pumper Truck was donated to the museum in 1998 by TimberWest Forest Corp.